The airlines of the Lufthansa Group welcomed around 11.2 million passengers in April 2017. This shows an increase of 25.1% compared to the previous year’s month. The available seat kilometers were up 15.8% over the previous year, at the same time, sales increased by 25.2%. The seat load factor improved accordingly, rising 6.2 percentage points to 82.3%, compared to April 2016. As a result, Lufthansa Group has reached new record results for the month of April in the number of passengers, as well as the utilization of its aircraft. The currency adjusted pricing environment was negative in April, due to the fact that Easter with its higher share of private travel occurred in March last year. Cargo capacity increased 3.8% year-on-year, while cargo sales were up 6.0% in revenue ton-kilometer terms. As a result, the Cargo load factor showed a corresponding improvement, rising 1.4 percentage points in the month. 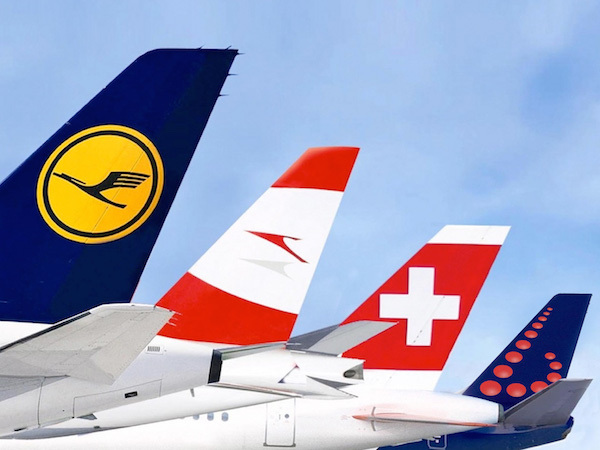 The Network Airlines Lufthansa German Airlines, Swiss and Austrian Airlines carried 8.4 million passengers in April, 12.0% more than in the prior-year period. Compared to the previous year, the available seat kilometers increased by 5.5% in April, although the number of flights declined by 0.9%. The sales volume was up 14.1% over the same period, raising seat load factor by 6.2 percentage points to 82.4%. Lufthansa German Airlines transported 5.7 million passengers in April, a 10.2% increase compared to the same month last year. A three-percent increase in seat kilometers in April was a 12% increase in sales. Furthermore, the seat load factor was up to 82.4%, therefore 6.6 percentage points above the prior-year level. The Lufthansa Group’s Point-to-Point Airlines – Eurowings (including Germanwings) and Brussels Airlines – carried around 2.8 million passengers in April. Among this total, 2.6 million passengers were on short-haul flights and 0.2 million flew long-haul. This amounts to an increase of 93.3% in comparison to the previous year. April capacity was 129.7% above its prior-year level, while its sales volume was up 148.4%, resulting in 6.2 percentage points higher seat load factor. On short-haul services the Point-to-Point Airlines raised capacity 83% and increased sales volume by 102%, resulting in a 8.2 percentage points increase in seat load factor, compared to April 2016. The seat load factor for the long-haul services decreased 9.1 percentage points to 84.1% during the same period, following a 394.6% increase in capacity and a 346.1% rise in sales volume, compared to the previous year. Passenger load-factor (%) 82.3 +6.2pts. 77.9 +2.7pts. Cargo load-factor (%) 69.4 +1.4pts. 70.0 +2.6pts. Passenger load-factor (%) 82.4 +6.6pts. 78.7 +3.4pts. Passenger load-factor (%) 84.1 +5.5pts. 79.3 +2.7pts. Passenger load-factor (%) 79.2 +4.8pts. 71.8 -0.3pts. Passenger load-factor (%) 82.4 +6.2pts. 78.2 +2.9pts. Passenger load-factor (%) 81.9 +6.2pts. 76.4 +1.9pts. Passenger load-factor (%) 78.0 +5.2pts. 72.5 +3.0pts. Cargo load-factor (%) 51.3 +0.6pts. 52.4 +1.3pts. Passenger load-factor (%) 85.2 +7.0pts. 79.2 +1.7pts. Cargo load-factor (%) 65.9 +1.3pts. 68.2 +2.8pts. Passenger load-factor (%) 84.3 +6.6pts. 83.4 +4.5pts. Cargo load-factor (%) 78.4 +1.6pts. 78.4 +2.9pts. Passenger load-factor (%) 80.2 +6.0pts. 77.3 +3.0pts. Cargo load-factor (%) 54.7 -0.8pts. 52.5 -0.4pts. Passenger load-factor (%) 80.7 +8.2pts. 72.4 +3.0pts. Passenger load-factor (%) 84.1 -9.1pts. 83.2 -10.8pts.